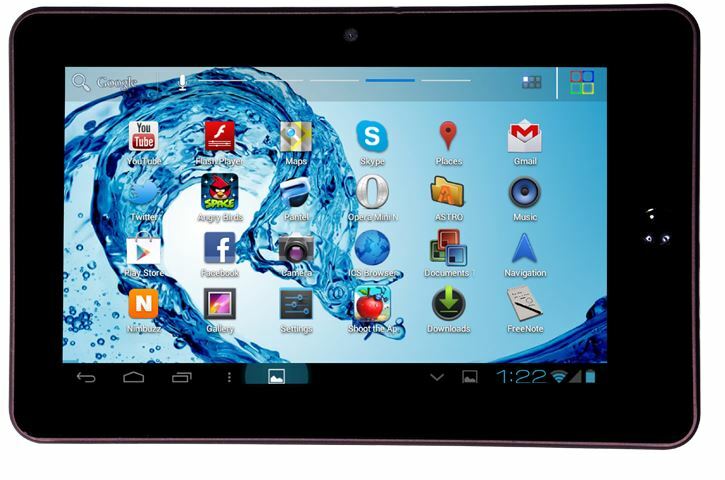 Penta T-PAD WS704C is also tablet with voice call facility, it has SIM card Slots which Supports 3G. Penta T-PAD WS704C have two camera Front camera and Rear Camera, Front camera is of 0.3 Megapixels while Rear camera is of 2 megapixels. Body dimension of T-PAD WS704C is 215 X152 X 13.5 mm and weight of tablet is 390 grams. Penta T-PAD WS704C has 8 inch LCD display , resolution of display 800 x 480 and 16 M colour supports. Wi-Fi IEEE 802.11 b/g/n, 3G SIM Slot, Bluetooth, GPS for the connectivity. 4600 mAh Li-Polymer Battery is used in the T-pad require 9V, 2A DC power supply. Office application included in T-PAD are EPUB, WORD, EXCEL, POWER POINT, PDF, TXT.